Sajja Jayashree, Manjunatha S N.
Background: Diabetes is a chronic disease that requires continuous medical care and patient self-management education. For diabetic patients, hypoglycemia is a fact of life. Hypoglycemia is one of the most common acute complications in adolescents with diabetes in both type1 and type 2. Approximately 90% of all patients who receive insulin have experienced hypoglycemic episodes. Poor awareness among diabetics on hypoglycemic symptoms may lead to increased morbidity and mortality. Aims and Objectives: To study the awareness about symptoms, precipitating factors, and prevention of hypoglycemia among patients on insulin therapy. 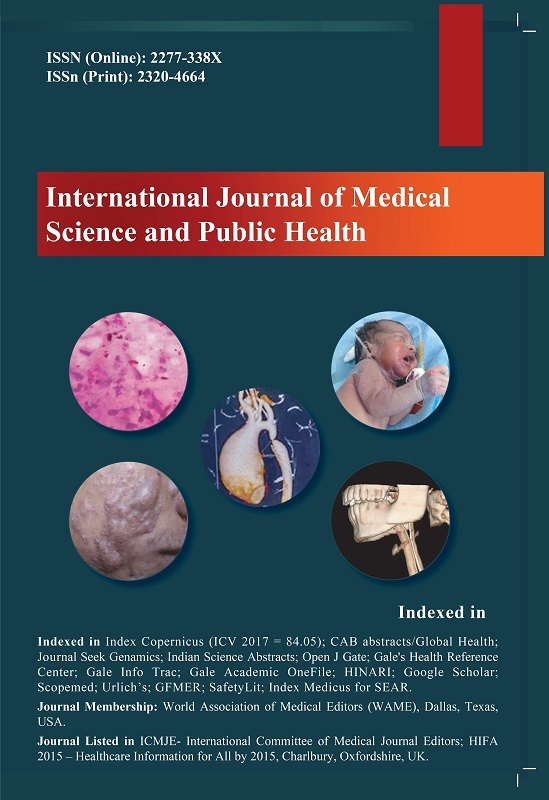 Materials and Methods: A cross-sectional study was done in a government tertiary care hospital. The study was conducted among diabetic patients who were on insulin therapy for at least 1 year. A pre-tested semi-structured questionnaire was used. The calculated sample size was 100. Results: Nearly 68.6% of the patients had faced at least one hypoglycemic attack. 65% were aware of at least three symptoms of hypoglycemia, but awareness was only 46% among illiterates compared to 86% of literates. 32% were unaware about the precipitating factors whereas 17% of the participants felt that the attacks were caused due to the wrong dosage therefore skipping medication or self-adjustment of dosage was mention as a preventing factor by them.